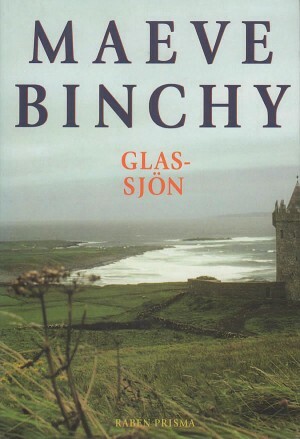 Gunilla Sondell is Maeve Binchy’s Swedish editor and worked with Maeve for more than two decades. 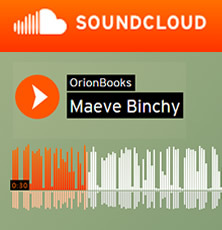 If I were to choose a title from Maeve’s huge production of novels, short-stories, plays and articles it would have to be A Week in Winter. And for a very particular reason. I had been hearing from Maeve and her agent Christine Green during the years about those legendary editorial sessions at Pollyvilla infused with wine, and to me they stood out as something mythical. How I dreamt of being being part of that team! So in a way my heart went to the moon the day Christine called me and asked me if I could help with details regarding a passage in a new novel that Maeve was writing. That passage was to take place in Stockholm since the principal character in the story was called Anders Almqvist, the son of a rather stiff Swedish accountant and his tv-producer wife, Patrik and Gunilla Almqvist. Anders doesn’t want to be an accountant, he would rather be a musician since he’s player of the Swedish instrument, nyckelharpa, the key-harp. Anders goes away on a trip to Ireland and finds music there and he also make friends and learns about life and love. That’s also very true in my own life. Thanks to Maeve I met my husband that night in Stockholm, some twenty years ago when Maeve and her husband Gordon accompanied by Christine Green came to Stockholm to promote the Swedish edition of The Glass Lake. We had been boating in the archipelago eating Swedish sailor’s beef and drinking schnapps plenty galore singing away and through a series of misunderstandings and errors that included ending up in the wrong place at the wrong time I met Patrik. 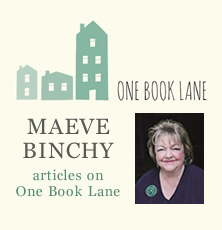 Now, when Maeve found about this, she exclaimed: “You see, what I write is not make belief, these things happen in real life!” And she felt very responsible for this relationship, inviting us to come to Dalkey as soon as possible. So nothing seemed more right than going to Ireland on our first trip abroad together. On a cycling-tour of County Mayo and County Galway, 350 kilometres in one week, that also included a trip to the Aran Islands, where I laid down on the beach in Inishmore and refused to pedal one single stroke more. Like Anders Almqvist, Patrik and I learned about life and love, a cycling-tour of the Irish west-coast is a very good test, and we got to know Maeve’s great circle of friends and family and we have been going back to Ireland ever since. We just simply love Ireland and the Irish. 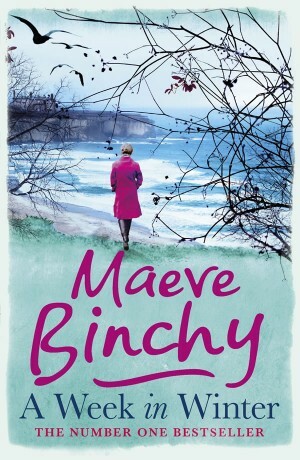 Although it’s sad that A Week in Winter came to be Maeve’s last novel, we all would have loved her to go on forever creating that particular magic of hers, to me it stands out as a summary of her credo. Her belief that you can do whatever you want if you set your mind to it. The ability to bring people together, how important friendship is in life. Not to judge people but being able to see things from another perspective. Being generous and a good listener. Not to let circumstances or evil get the upper hand of you. I am forever grateful that I met Maeve in person and whenever I read something by her, I can immediately hear her voice. 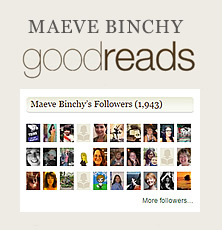 So Maeve lives on through her books, making the world a better place for us to live in.